In Chaps. 5 and 6 we presented our general algorithm for the recognition of patterns. 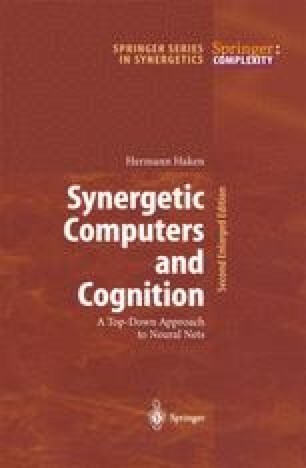 This algorithm exploited strong analogies between pattern formation and pattern recognition as unearthed by synergetics. In this chapter we wish to show how this algorithm can be also implemented on a network which acts in a highly parallel manner.